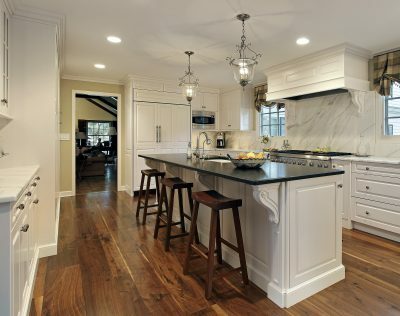 Corbels are one of the most versatile and useful design elements in any home renovation. They can be used in any room from the porch to the kitchen. A corbel is defined as a b racket or brace that projects from the wall to support the weight of the structure above it. Corbels date back to Babylonian and Mayan architecture. Ornate carved corbels were popular in Renaissance architecture including very large corbels that supported roof lines. 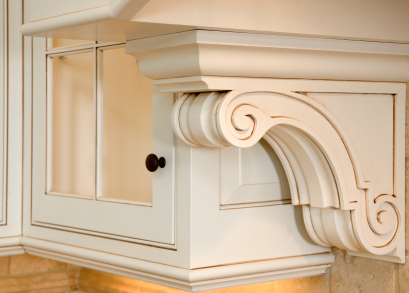 Decorative corbels are an integral design element in the gingerbread millwork popular in Victorian houses. Decorative wood corbels come in many sizes and shapes and any style from Rustic to Victorian to Contemporary. Van Dyke’s Restorers has one of the industry’s widest selections of corbels in wood and urethane from 5” to 42” and in many styles including Acanthus Leaf, Fluted, Scroll, Grape, Ribbed, Beaded, Mission, Art Deco, Art Nouveau, Victorian, and more. Corbels are commonly used for shelves, und er mantels, and outside under eaves. 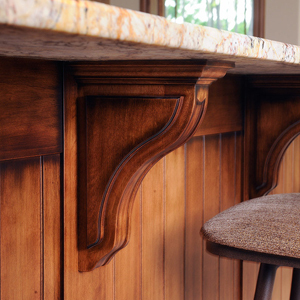 With the popularity of granite, quartz, and marble counter tops, large carved corbels add a distinctive touch that is both decorative and functional to support heavy counter tops, bar tops, and kitchen islands. Outdoors, corbels are found on porches, doorways and under eaves. In addition, these beautiful design pieces are used for a variety of others projects around the home. Larger decorative corbels are often used like a sconce as a single shelf for a planter or as a plant stand. Smaller corbels can be used as stylish curtain rod brackets. Larger corbels are often used to embellish doorways and porches or as a bracket on a sign post. Use corbels as braces on an end table, headboard, or coffee table. 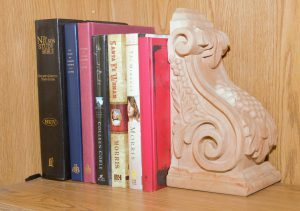 Turn the corbel sideways for a stylish book end. With a quick search on the internet, I found some very creative uses for corb els. The top of the corbel can be drilled out to make a pretty candle holder. Another ingenious designer made a wine bottle holder by hollowing out a large corbel. A light kit and lamp shape were installed in a corbel for a stylish lamp. Another builder created a corner desk using two corbels and some plywood. The uses are as varied as our imaginations! I would love to see some of your more unique uses for corbels. 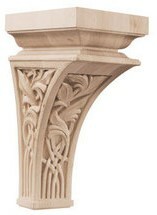 Post your corbel pictures on our Facebook page and share your ideas. 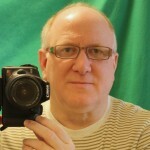 I look forward to seeing your handiwork!